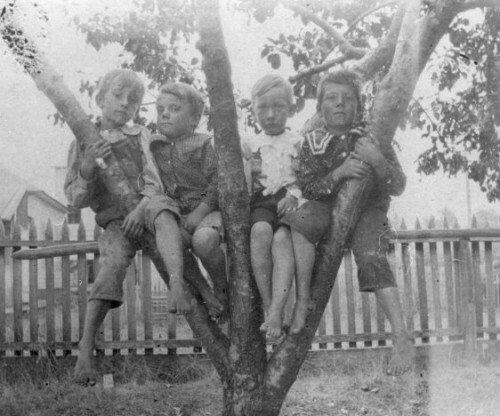 Four boys in a tree in Star circa 1900. 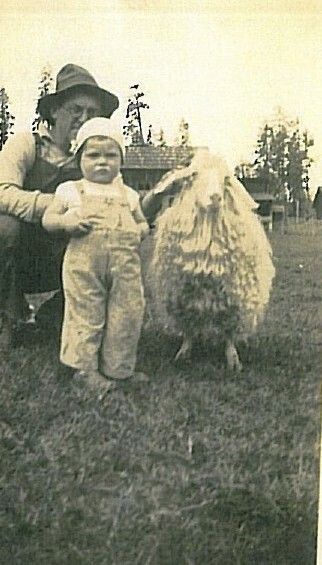 Might be a Wicks child or two in this photo. 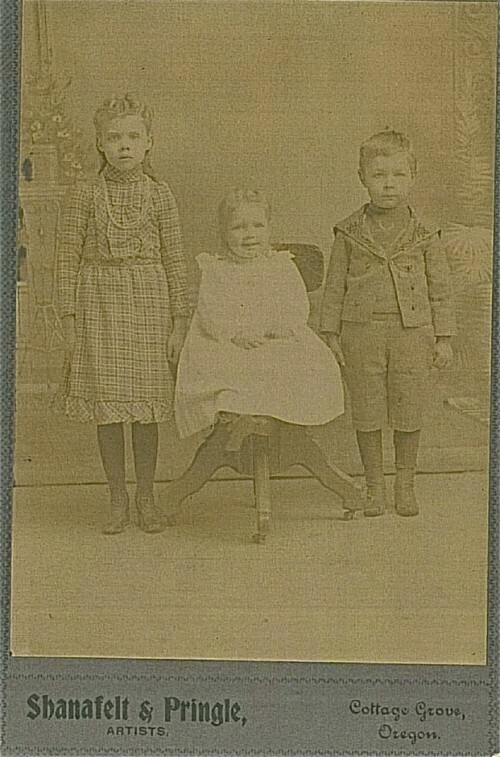 Opal Whiteley and her sisters, early Row River residents. 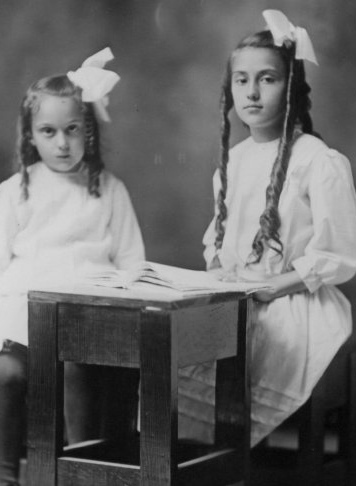 A very somber Chloe and Faye Whiteley, sisters of Opal. 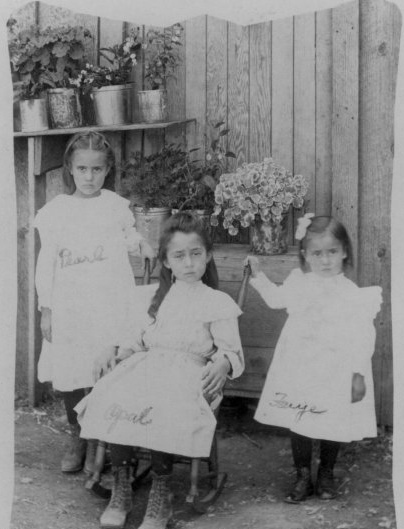 The bottom three photos are from the Lane County Historical Society’s online photo archive. Check it out here http://www.lanecountyhistoricalsociety.org/research-photocatalog.html and a nod to http://www.mysouthlane.com/ for posting about great online photo resources.